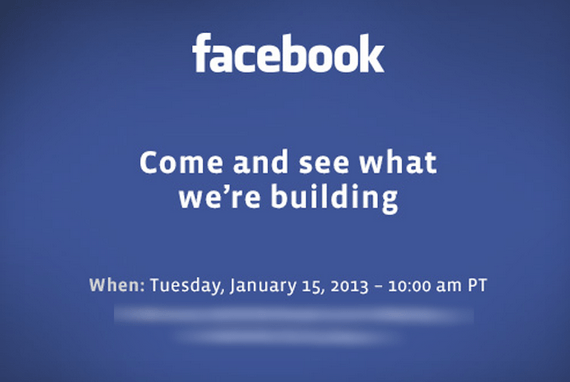 Looks like Facebook doesn’t want to be left out from all the tech news going around because of CES, as the company has just sent invitations to press to ‘see what we’re building.’ The event is scheduled to be held in Facebook’s headquarters in Menlo Park, California. The Verge notes that the company doesn’t host very many events in its own headquarters, implying that we might be seeing something big from Facebook this time around. But what could it be? Some might say it’s the oft-rumored Facebook phone, but I’m pretty Zuckerberg said that “it wouldn’t make sense.” Maybe they’ve changed their mind? Maybe it’s something else entirely — who knows! Stay tuned, dotTech will cover whatever it is they do announce next week. Think you know what the announcement is about? Tell us in the comments !